There are many false prophets out there who will promise to rid you of body fat within days or weeks, if you will simply buy their product. The weight loss industry is a multi-billion dollar industry, and is riddled with false promises. If you want to burn fat, there is no real need to purchase fat burning supplements. Don't listen to the hype; create your own regime and show some determination to stick to a proper exercise regime and balanced diet. Nutrition is vital if you want to properly and efficiently lose weight. It is important thus to burn more calories than you consume. This is the most important rule with regard to balancing ones energy. This must be taken into account if you wish to successfully burn fat. This does not mean that every calorie needs to be counted, but it is important to make sure that you are maintaining a calorie deficit and a balanced overall diet. In conclusion, one should look to consume fewer calories, while also striving to burn calories through the employment of a proper exercise regime. Weight training is another great way to burn fat. This part of the regime should be structured to suit you. Weight training stimulates the body in order to build up and maintain lean muscle mass. The presence of lean muscle in the body can be of great assistance with regard to the burning of fat. Most fat loss pills are not worth the money, and the industry is flooded with scams. In fact, the best 'supplement' that money can buy is, quite simply, food. No pill or powder can take the place of proper nutrition, and it is important to remember this when selecting your sources of nutrition. When seeking to burn fat, it is important to remain focused and determined as much as possible. 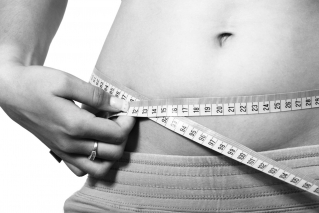 The basic ideas behind weight loss are basically straight forward and uncomplicated. However, that does not mean that the process will be easy. If you have the mistaken belief that you can sit around doing nothing, you will not succeed in your goals. The truth is, there is no realistic short cut when it comes to losing weight. If you really want to lose weight, you will do so. However, it will require hard work and determination, if you are to achieve your weight loss goals. Focus and motivation are necessary attributes when it comes to weight loss and the changing of ones habits.